The parents of the year 2 pupils came into school to learn about The Great Fire of London from their children. 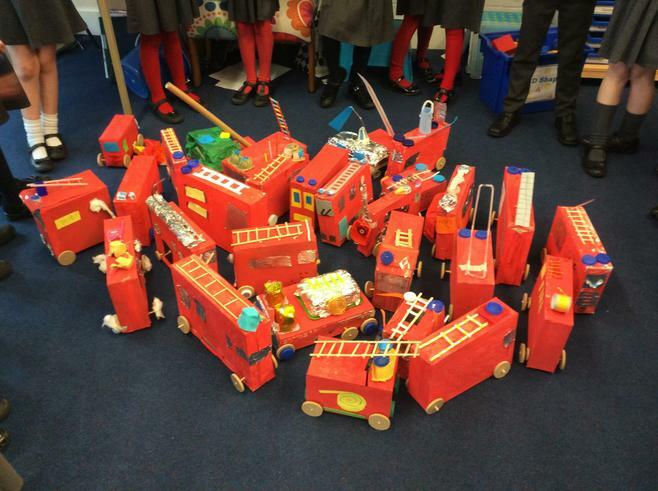 The children and adults then worked together to produce a fire engine. As part of the children's homelearning they made models of Tudor style houses that would have lined the streets of London in 1666. 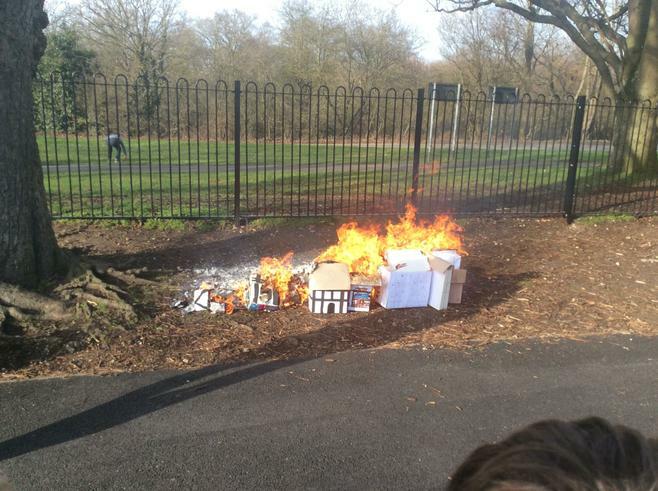 During the afternoon some of the Yateley Firefighters joined the Year 2 class as they recreated the Great Fire of London and could see how quickly a fire can spread. A huge thank you to the Year 2 staff and parents and the Yateley Firefighters for making the day so memorable.